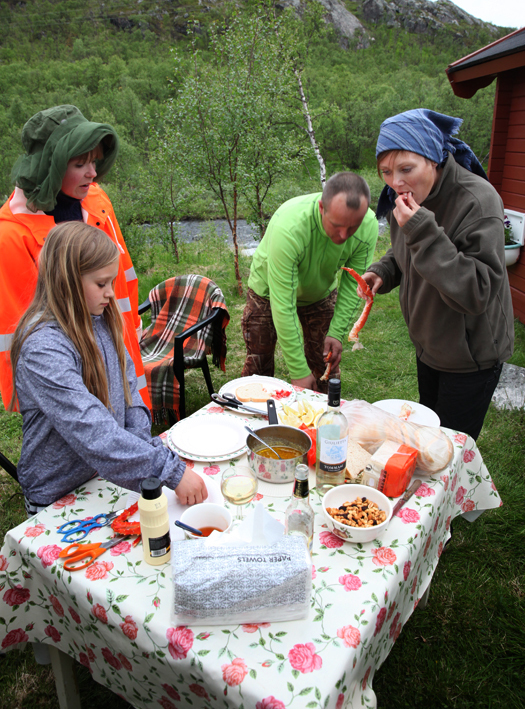 On our first day back in Kirkenes we bumped into Kristin Pedersen at the hospital, who casually invited us ‘crabbing’ with her family in Bugøyfjord. 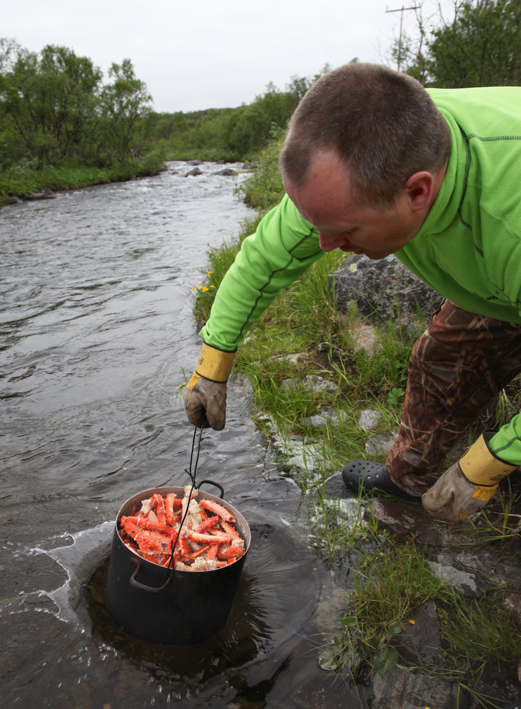 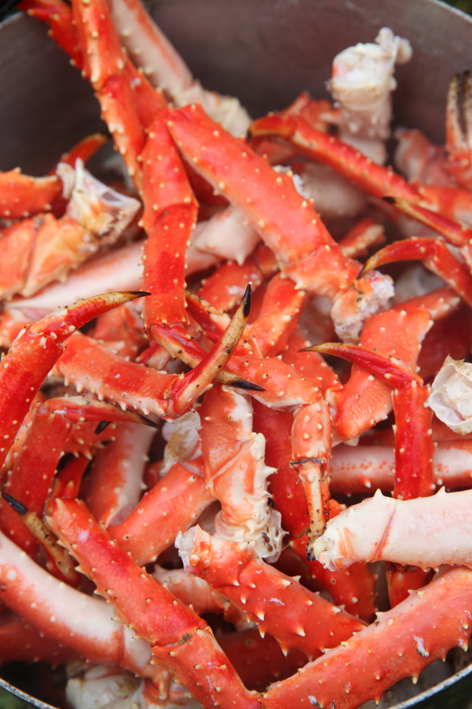 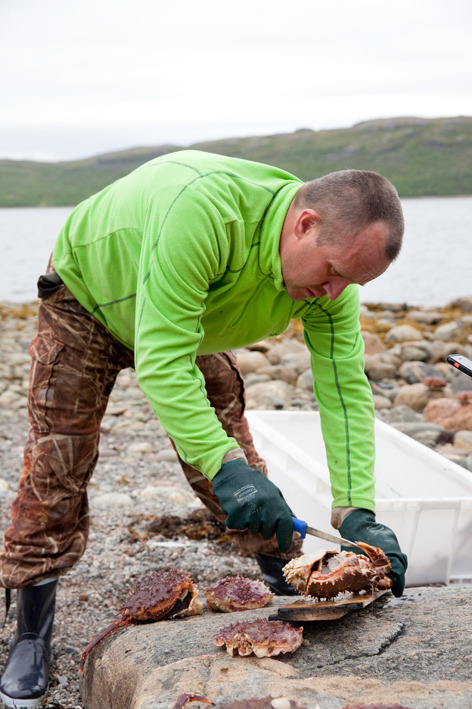 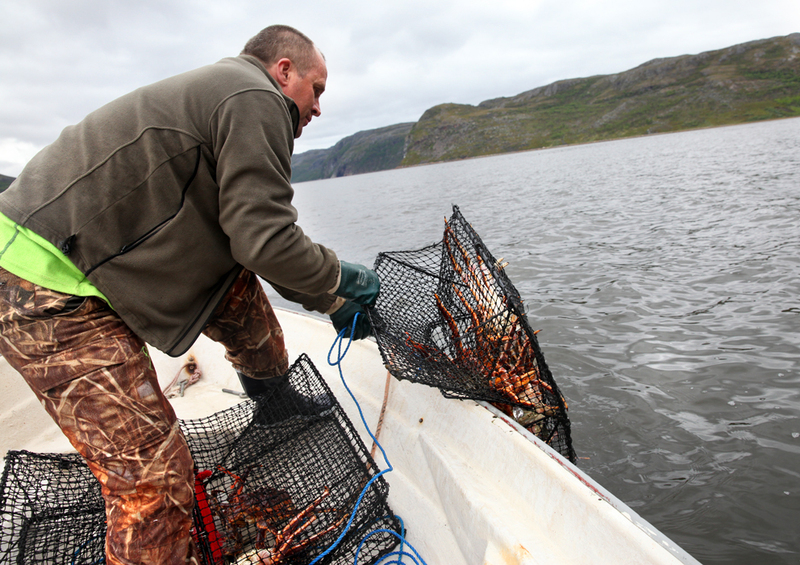 Catching a few king crabs is a free treat for anyone living in Finnmark (you can find advice on how to move up here, right here). 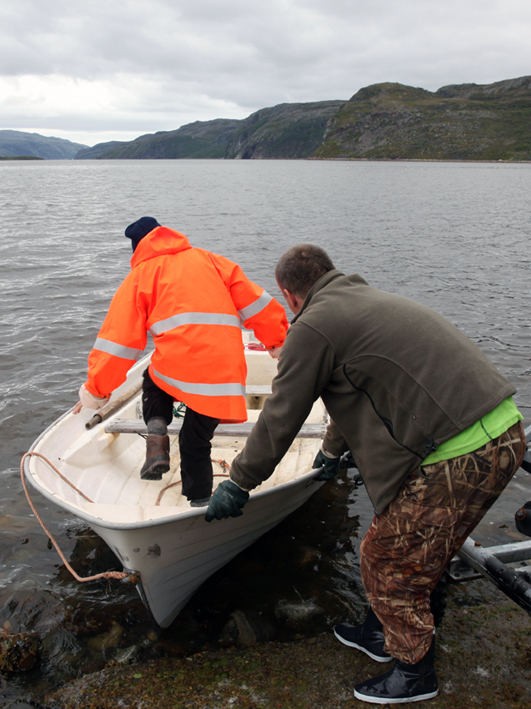 Kristin’s husband Audun orchestrated the boat, the traps and the humane goodbyes once the exclusive catch was safely on the shore. 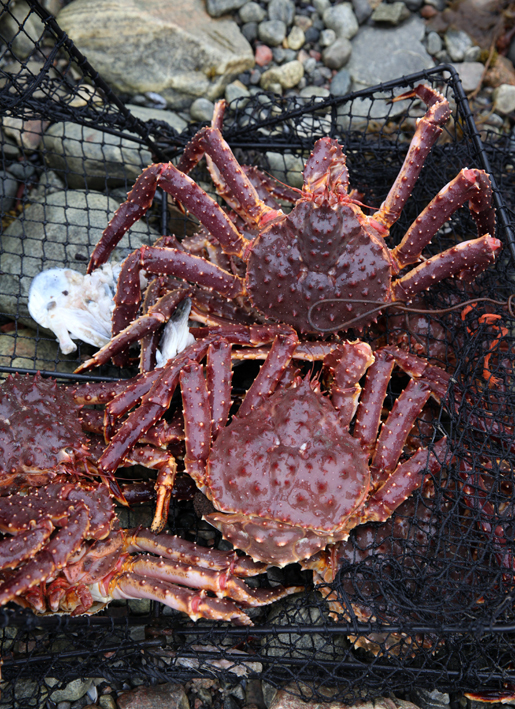 Seeing all these crustaceans on the beach was too tempting a sight for us and we couldn’t resist asking Kristin to pose for us with some of them. 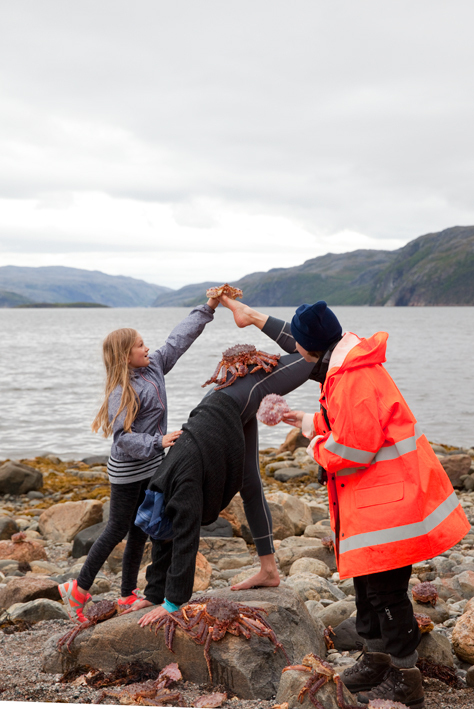 Bows to Matilda for being our fearless shoot assistant and experienced crab handler, and to Kristin for her crab-induced yoga acrobatics. 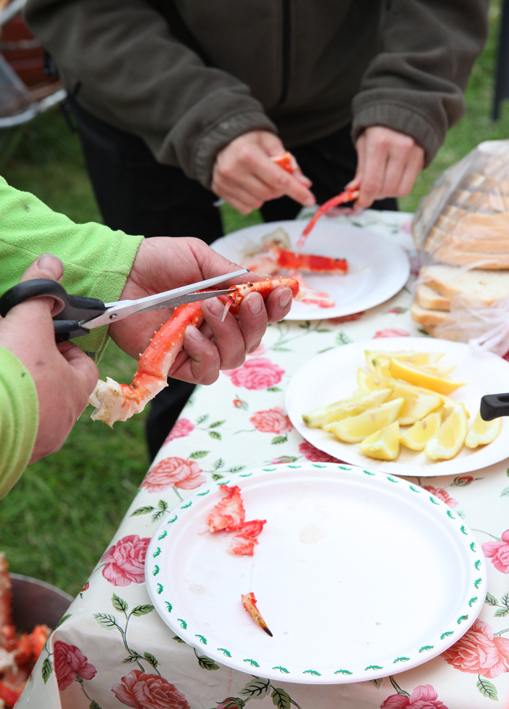 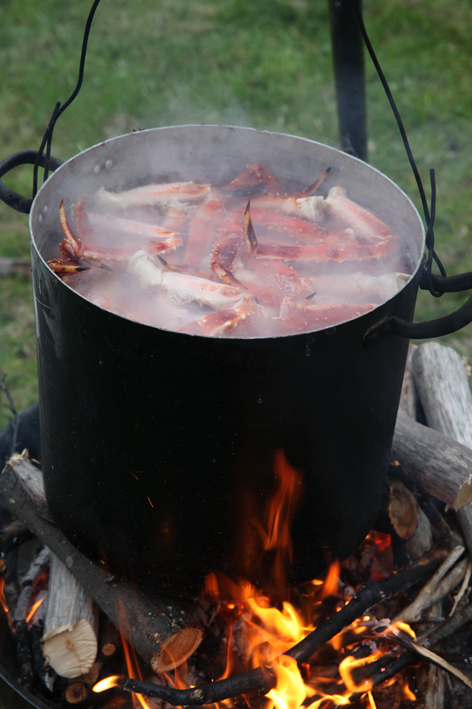 A balmy +8 C temperature set the scene for an epic summer crab party amongst friends – priceless! 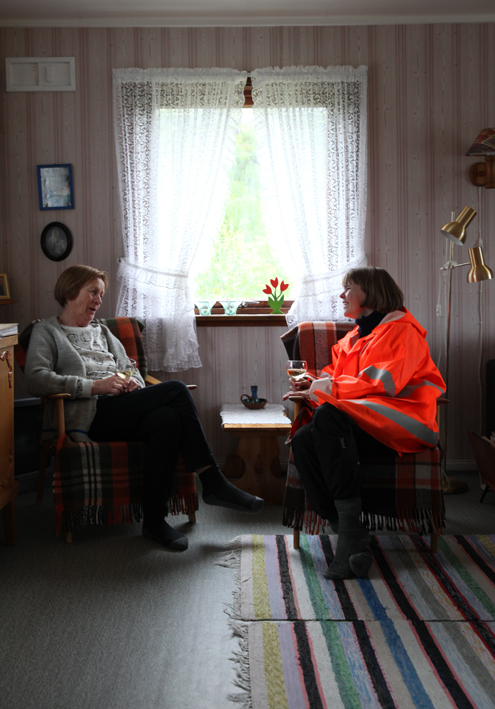 Thank you for the unforgettable experience!